Says it isn’t so. Are they actually releasing a third Men In Black movie even though part two was a total disaster? Seems like it. But here’s the good news: the sequel nobody asked for is actually pretty enjoyable. Why? It’s not that the characters got more interesting; Will Smith is still Will Smith, while Tommy Lee Jones has a very small role this time around (damn shame if you ask me). But there’s something about time travel which I find irresistible. And “MIB 3” is exactly about that. That and the addition of Josh Brolin as a younger version of Jones (he says he’s 29, but don’t take his word on it). The plot involves an alien enemy of Agent K (Jones) who goes by the name of “Boris The Animal” (how original). Boris escapes from prison and travels back to 1969 to kill the young K. Are you still following me? Good, cause things are about to get a little bit confusing. Ok so now it’s up to Agent J (Smith) to travel back into the past to save K, with the help of… young K. That would be Josh Brolin, as I mentioned earlier. The plot goes from weird to weirder later on, but oddly enough, this is a good thing. That’s why “Men in Black 3” leaves you giggling like a damn fool. It starts as funny and rockets on from there. Screw the feeling of guilt. This is not to say that the movie isn’t filled with enormous plotholes, because it is. But then again, such is the case with every “time travel” flick, and as long as you’re not a picky person, you won’t be complaining. But the real star of the show has to be Josh Brolin. The dude puts in an incredible performance using his impression of the great Tommy Lee Jones as the younger K. He totally aced Jones’ attitude and voice. Another standout here would be Michael Stuhlbarg, who plays a being that can see all possible timelines and variations of universes at once. Watching him predict the future and its different outcomes is one of the highlights of the movie. I suggest you keep an eye on him. I can’t say that 3-D made a big difference to my enjoyment of the film; there are moments where foreground pieces really stand out and show off the dimensionality of a shot, but I suspect the film and its interesting special effects play just as well in 2-D. 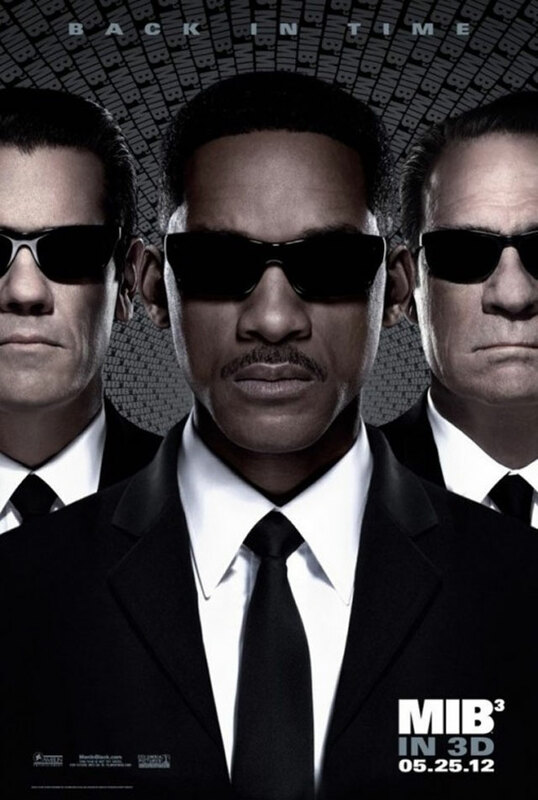 Content is what makes “Men in Black 3” fun to watch. Do not expect a masterpiece, and you will have a good time at the movies. After all, it’s that sense of fun that keeps the movie afloat, and the story is interesting enough to keep your attention all the way through the closing credits. Against all odds, this sequel works. It really does.